Our product range includes a wide range of flat bed piezo engraver and flat bed pizo engravers machine. 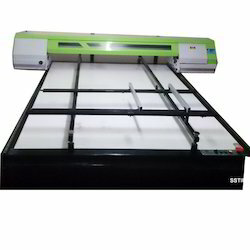 We are offering Flat Bed Piezo Engraver to our clients wide range of Flat bed inkjet engraver that is acclaimed for high print resolution and excellent print speed, In our on going exercise of continuous development from last two decades we now wish to explore possibilities of expand our customer field in various Industries. Technology for better quality and accuracy. Dynamic printing speed up to 100 nos. of screens per day. 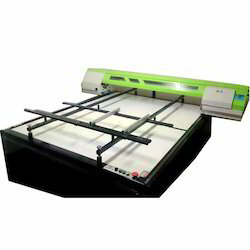 Flat Bed Inkjet Engraver on computer-direct-to-screen technology for both Flat & Rotary Screen is gives consistent quality, satisfactory rates, Offered machine is manufactured using high grade raw material and cutting edge technology. We can also customize this machine in accordance to the provision provided by the clients.